I have had a successful business in Southwold, Suffolk in the UK since 1994. For over 24 years I have been increasing my knowledge and experience and have accumulated a wide range of natural, advanced and outstanding techniques to be able to help all age groups and abilities overcome a wide variety of life challenges, especially in learning and child development. I now live and work in Malta. I am an Educational Kinesiology Consultant, a Licensed Brain Gym Instructor and am one of five Rhythmic Movement Training Instructors in the UK. I am the only consultant and instructor in Malta, at the moment. I am hoping to train people to consultant level so many more children and adults can benefit from this wonderful and life changing programme. I have personally experienced profound changes in my own learning skills and in a number of areas of my life from using these programmes, so I absolutely know they work. I have helped many many children and adults overcome difficulties they wanted change, so again, I know and have seen these programmes work and change lives. Every day is a real pleasure to go to work to help facilitate change my clients lives to overcome their challenges whether in education, business, sport or in the performing arts so they can also enjoy life changing improvements that can be brought about by these very effective movement based programmes. Many of my techniques are only used by a few people in the UK and clients came from near and far to my centre for my specialised techniques. There are no practitioners using RMT in Malta, at the moment, and very few use Brain Gym. I am particularly passionate about helping children and adults overcome various learning, behavioural, emotional and/or cognitive challenges as their futures are determined by their development, attitude, confidence and motivation to be be able to succeed in life. I have a very good understanding of how we develop from a being a helpless new born baby to becoming a fully functioning adult and what can be done to help stimulate and develop the physical senses we all need if this process is going to be efficient and successful. It is never too late to make neurological improvements to help to make skills easier and life more successful. I also have achieved wonderful results with people who have suffered various types of brain injury, including stroke patients and people with various mental health issues. For many, my techniques have greatly improved their confidence, their abilities and their lives when the NHS has been unable to do more to help. It is a privilege to be able to work with people of all age ranges to help them enjoy more choices in life. For many, life can be a huge struggle physically, emotionally, cognitively, academically and developmentally. I help to facilitate change for people who would like support and want to improve their lives..
Dr Harald Blomberg developed the Rhythmic Movement Training programme. 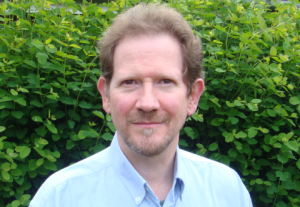 He is a Swedish psychiatrist and has been researching and working with the reflexes very successfully with children and adults for over 25 years. He and Moira Dempsey, who is from Australia, train all over the world.